Tarab NYC at Creating Change in Detroit! Join us in Detroit for Creating Change where Tarab NYC is providing the only Queer MENA programming! Recent events -- the election of Donald Trump, "Muslim Bans", the ongoing wars in Syria, Iraq, and Yemen, and the resulting refugee crises -- the siege on Gaza -- exiting the “Iran Deal” -- prompt us to consider how Western biases and perceptions of the MENA region affect conflict, shape foreign policy, and operate in individual client work (legal, activist, etc.). Queer activists must therefore pay close attention to the heteronormative, patriarchal language and imagery used by the West to frame its “Other”. Imperialism, racism, exotification and eroticization affect all interactions of Western human rights activists, NGOs, and lawyers with MENA people. Pinkwashing is a strategy used by entities to present themselves as gay-friendly and progressive, in order to downplay their negative behavior. Pinkwashing commonly used by the Zionist state of Israel and pro-Israeli organizations to obfuscate the realities of Israel’s militarism, racism, colonialism, ethnic cleansing, and violent occupation of Palestinian land--by using a very narrow definition of LGBT rights (exclusive, of course, of queer Palestinians). Pinkwashing efforts normalize the occupation of Palestinian land by distracting from the violent, inhumane actions of the Israeli settler state. When standing against the occupation, Queer MENA communities often come under attack - losing funding as organizations, being wrongfully labeled as anti-semitic or even losing their jobs. Join us as we explore these issues from a queer and human rights perspective. 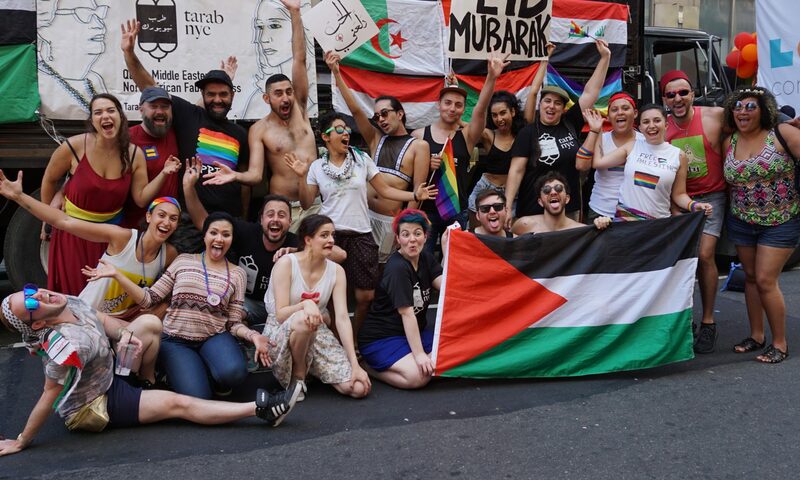 Queer Middle Eastern and North African (MENA) people are organizing and mobilizing across the nation. Join fellow MENA queers as we share stories and learn from each other’s experiences as well as share ideas for building a strong national (and international) movement of MENA Queers. If you are Queer and Arab, Kurdish, Iranian, Mizrahim, Sephardim, Turkish, Assyrian, Berber, Middle Eastern and/or North African, we invite you to join us for this very important conversation. THIS IS A ZIONISM FREE AND CLOSED SPACE. Also Join us for #CancelPinkwashing! Repeat previous workshops, based on audience feedback! Please help us and let your friends, colleagues and followers know about our page: Tarab NYC at Creating Change in Detroit!